FIRE has launched Student Defenders to help students start groups dedicated to defending student rights on campus. Student Defenders have the support and resources needed to navigate student conduct processes. 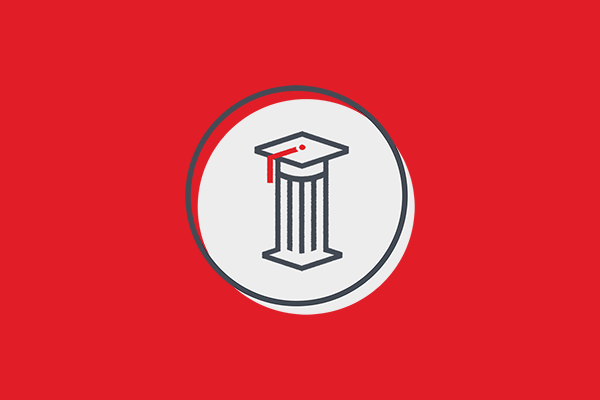 Student Defenders will help educate fellow students on their rights and options, advocate for fair and clear policies and procedures, and advise and counsel students in the university judicial process. By accompanying students through the university judicial system, Student Defenders will act as watchdogs for due process violations and provide accountability for university administrators. While these groups have no formal connection to FIRE and will vary in size and structure, they are united in their mission to promote legal equality and protect due process for their fellow students. What does a Student Defenders group do? Be a watchdog for due process and legal equity on campus. FIRE is pleased to provide students with the resources they need to start a Student Defenders group of their own, including a comprehensive start-up guide, sample constitution, tips for recruiting and training members, logos, templates for flyers, and much more. We are also here to offer tips and to answer any questions you may have at any point in the process. For additional information, contact us at studentdefenders@thefire.org. Interested in starting a Student Defenders group? We have just the thing to help. The Student Defenders Guide is a comprehensive manual to help you through the process of starting and running a Student Defenders group on your campus. The Guide contains advice on everything from applying for funding from your student government to recruiting and training new members. Below are some of the many topics covered in the guide. Remember, FIRE is here to provide guidance and resources. We have a team of experts at your disposal who can help decode and demystify your school’s policies, help you talk to administrators, and offer advice on tricky due process questions. Additionally, we can send more extensive guides, literature, speakers, and swag. Just let us know how we can help. Good luck!